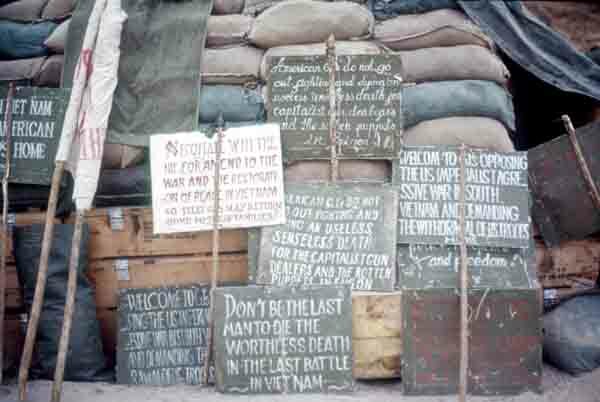 These metal signs contained a variety of appeals to quit the war. The word choices were awkward but the lettering was done with great skill, as the letters were well formed and uniform size. Letters were not crowded at the end of lines and the lines were spaced evenly. They were well planned and there is an artistic skill in the work. The large rolled up banner on the left is done with the same care.